pureCru Wines - About Us - What makes pureCru so unique? Simply said…handcrafted exclusive award-winning wines. When we say limited handcrafted wines, that's exactly what we mean. It's like having your own custom winery that is dedicated to creating the most unique and award-winning quality wines. pureCru wines are blended for taste and texture by hand and not mass produced by large winery facilities. 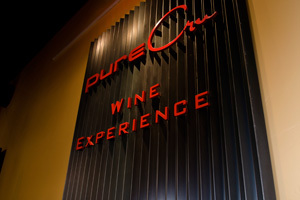 pureCru Wines provide a unique and exclusive experience. Experience a taste like no other. Visit our WINES page or WINE SHOP to learn much.